Would you like to make type changes in just a few minutes in your building or automotive wire insulation line? In building or automotive wire production there are frequent type changes during production shifts. These changes are either changes in conductor size or changes from skin coloring to stripe or vice versa. Generally the time needed fora a type change is about 30 minutes. With our Quick Type Change Value Package you can do it in 5 minutes. 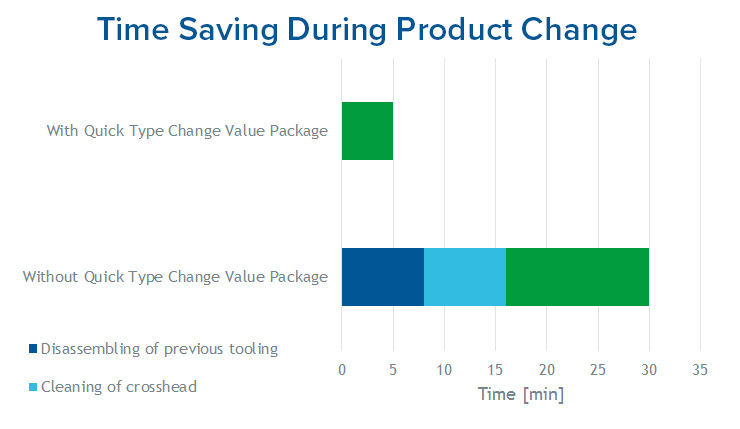 Imagine the weekly, monthly and annual time savings when you can save 25 minutes per type change. 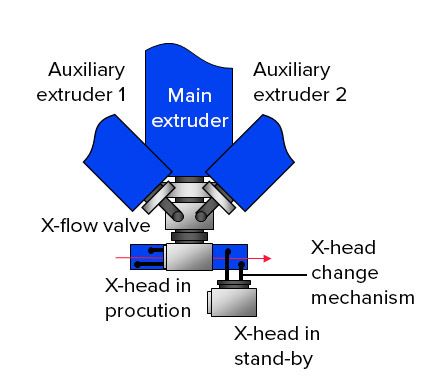 Ability to prepare the second crosshead while the line continues running. This reduces your downtime to only a few minutes.